This month was dedicated to the Man of Steel. 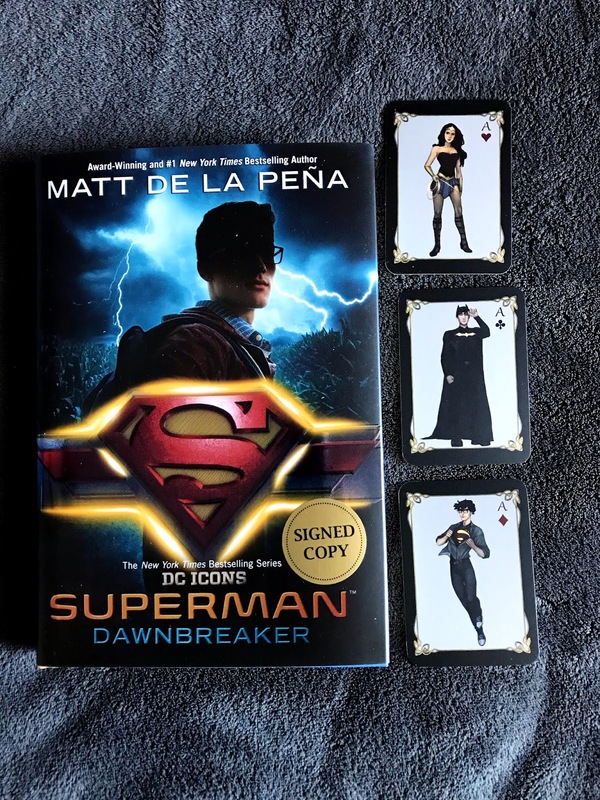 I've never been a huge fan of Superman, but I still enjoyed this box. 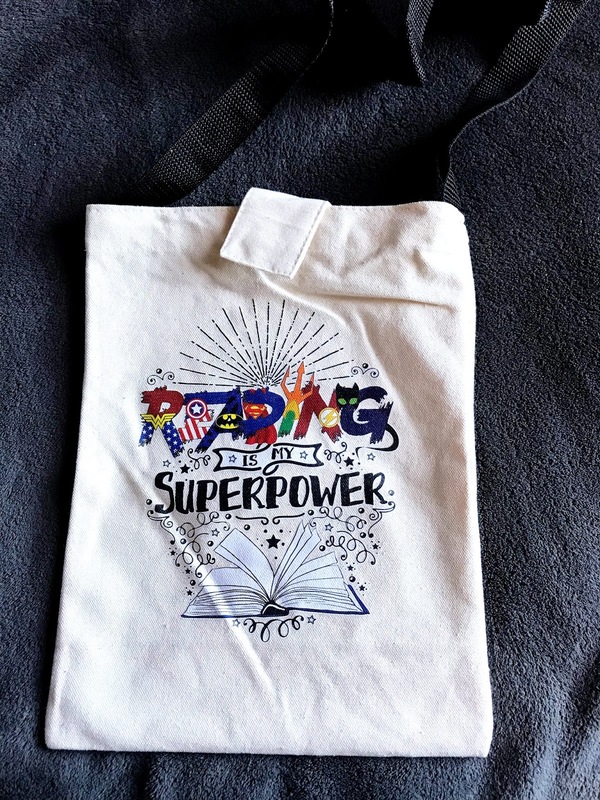 First up was this LitJoy exclusive bamboo bookmark with artwork by Hallie Bertling. This is actually a reversible bookmark, the back has little pairs of glasses, tractors, newspapers, and a few other Clark Kent related bits. I really like the quality of this bookmark, it's very sturdy but also has a bit of a glossy feel. 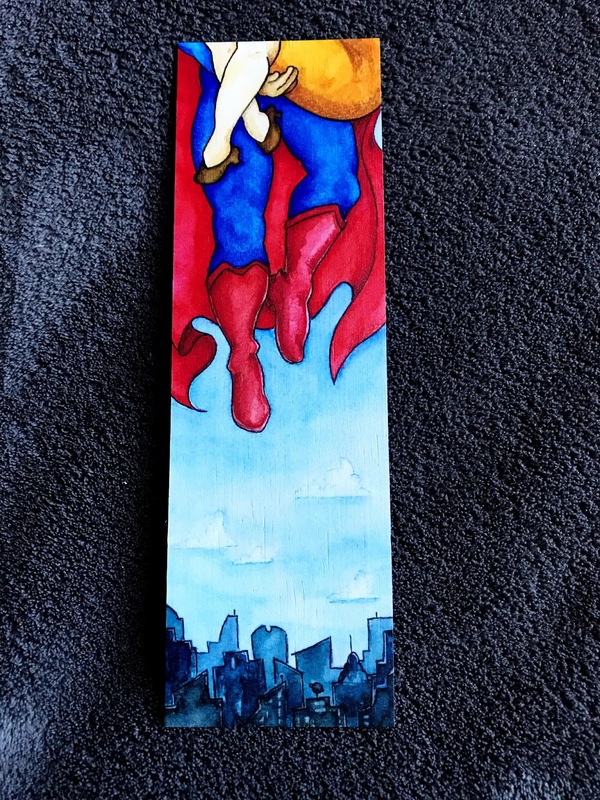 It's like a regular wooden bookmark, but a bit smoother. Another exclusive was this luggage tag. 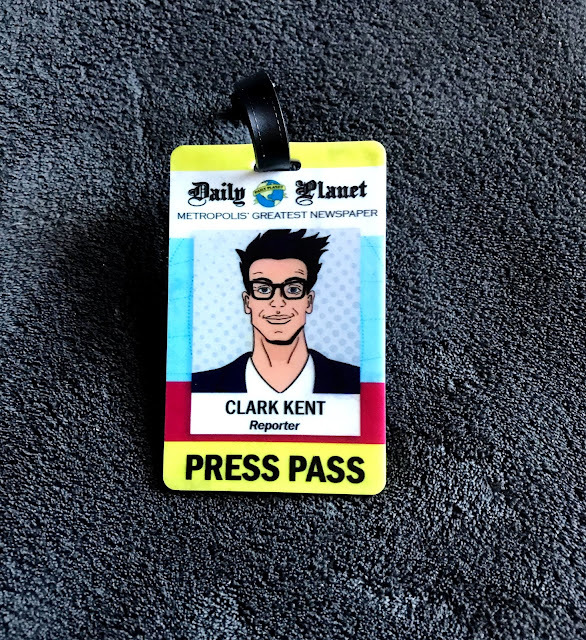 I think it's clever to make it look like Clark's Daily Planet ID badge. It's a nice touch. I think this was my favorite thing in the box. I've seen a bunch of A Court of Candles other candles on Instagram and Etsy, but I've never tried them before, so I'm excited to light this baby. 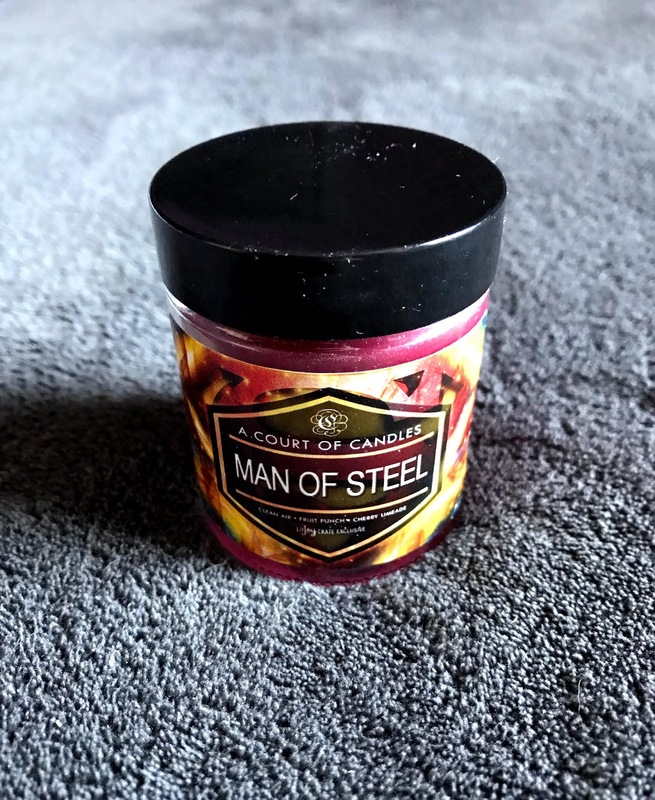 It has such a sweet scent of fruit punch. I think I've found a new candle shop to obsess over. Usually any bag I've received in these types of boxes have been the normal tote, but this is a cross body bag, which are my favorite kinds. It's not terribly big, though, so I'm not sure how much I could really fit inside it. The artwork is by EvieBookish, and while I do like it, it's just throwing me off a little that the majority of the letters are DC Comics character and then just one Marvel character for the 'E'. I sorta feel like either go full DC, or put more Marvel characters so it's a bit more balanced. So, no surprise given the theme, the book this month was Superman: Dawnbreaker by Matt De La Peña. This is the fourth book in the DC Icons series, which are interesting takes on different DC Characters. I've yet to read them, but I've heard good things. Clark Kent has always been faster and stronger than everyone around him, but has always kept it to himself and flown under the radar. This proves to be rather difficult once he stumbles upon a crying girl. Clark soon learns of the deep secrets corrupting Smallville, so he teams up with his best friend, Lana Lang, in pursuit of the truth. His investigation will bring Clark face to face with the evils lurking in the shadows of his small town, forcing him to step into the light that will lead him down the path to becoming the Man of Steel. Right? It's such a smart idea. Yeah, I love the candle, I can't wait to use it!